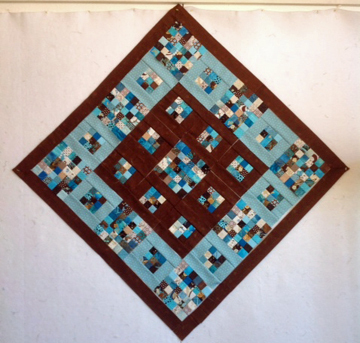 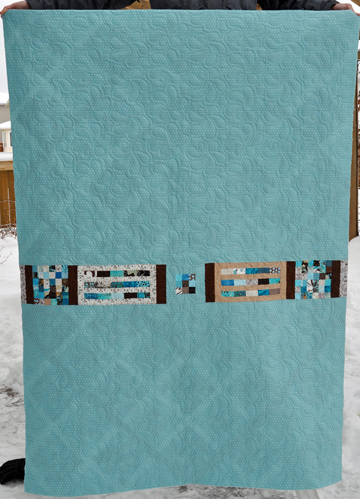 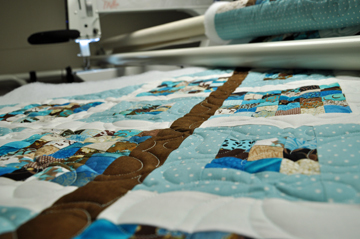 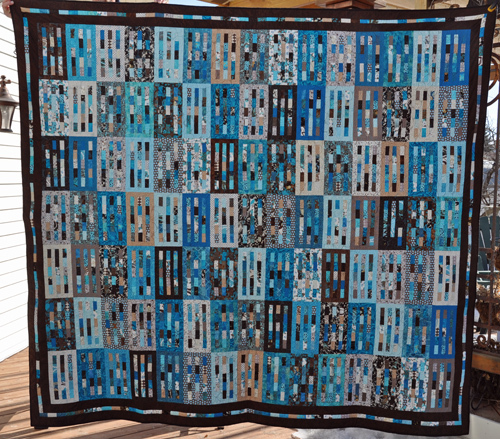 Back in 2011 I started collecting turquoise blue and brown fabrics for my Blue Odyssey Quilt. 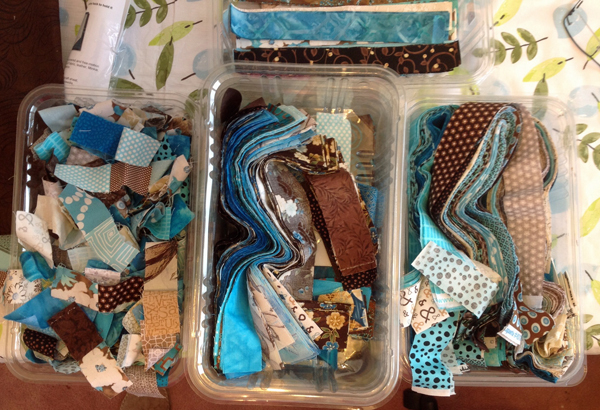 I ended up with way more fabric than I needed. 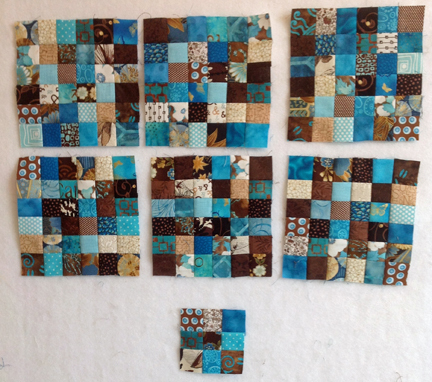 As a result, I had so many left over strips and little pieces. 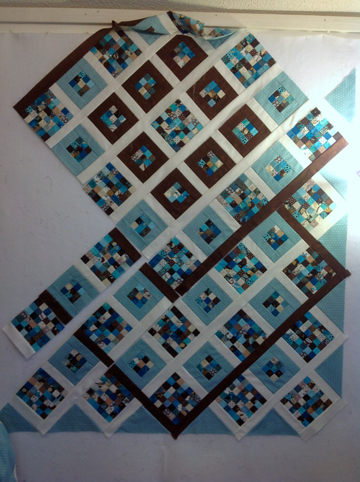 First I made ‘Leftovers I’ with more than one thousand 1-3/8″ x 2-1/2″ tiny rectangles. 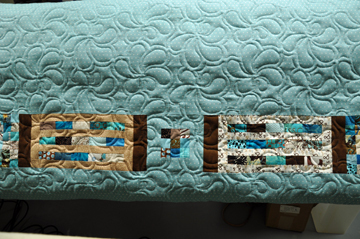 For “Leftovers II” I tackled the big pile of 1-1/2″ strips. 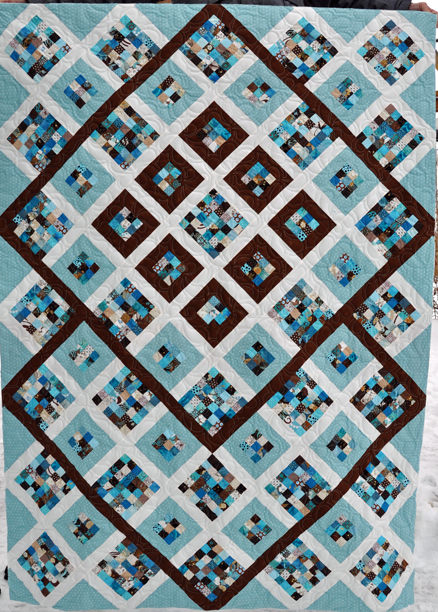 I came up with a design that used thirty one 6″x6″ blocks made up of 1″ squares and twenty eight 3″x3″ blocks also made up of 1″ finished squares. 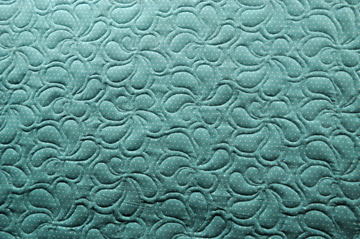 I decided to use a polyester batting and a new pantograph called Swirl ‘N Twirl. 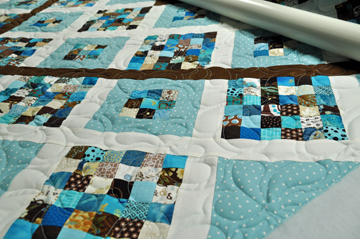 It has so much loft. 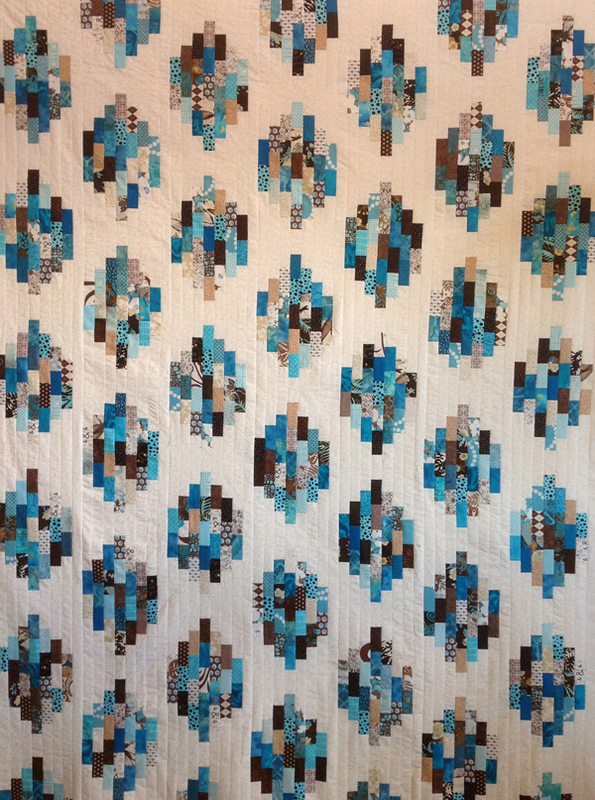 I used two extra blocks from the original “mother quilt’ in the pieced backing to show where the fabric from Leftovers II came from.